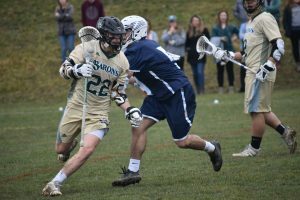 On a rainy Wednesday afternoon, the Franciscan University men’s lacrosse team competed against the Westminster Titans in a 21-7 loss that saw them fall to 3-5 on the season. Westminster came out strong, amassing a lead of 5-0 by the end of the first quarter. 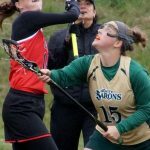 That scoring drought ended in the second quarter for the Barons, when sophomore T.M. Thomas, who has 24 assists on the season, sent a beautiful pass to senior captain Mike Rosaschi, who scored the Barons’ first goal. Rosaschi notched his 25th goal on the year as a result. Already up 10-2 after the conclusion of two quarters, the visiting Titans continued to pour it on, adding seven additional goals to Franciscan’s two during the third period. Both Baron goals during that third period came from the stick of Rosaschi; fellow senior Jonas McCaig contributed both assists. 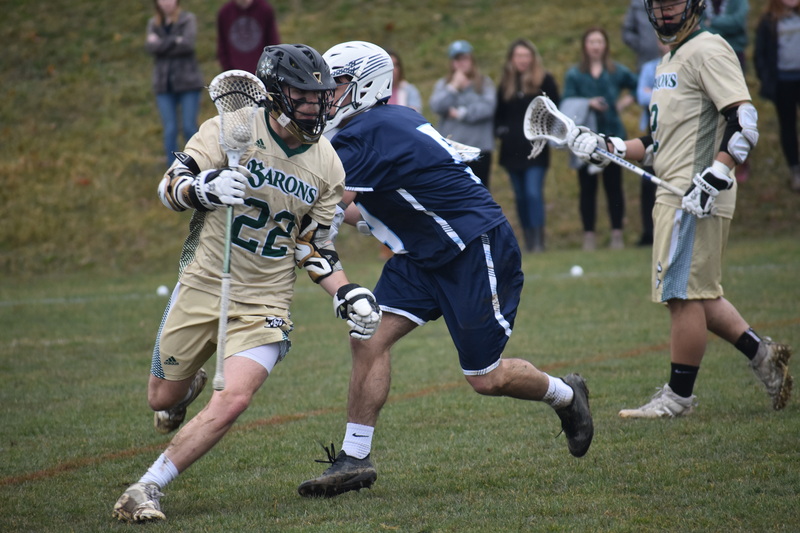 Junior Danny McCartney scored the first man down goal for the Barons during the fourth quarter, an unassisted endeavor that saw him shake several Titan defenders before netting the shot. McCartney has scored a total of 22 goals for the season, an impressive showing through only eight games. Westminster scored its final two goals in the final five minutes of play. However, sophomore Joe Bartholomaus and freshman William Muraski took advantage of limited minutes and respectively scored the final two goals for Franciscan with just under two minutes on the clock. Their efforts made the 21-7 loss a slightly more meaningful one for the Barons.